Have you ever thought about what might tag along when you add ice or a lemon slice to your drink? When lemons and ice are served in beverages, they not only bring flavour or a flourish. They can also carry bacteria and viruses. Ice can be a nice addition to a beverage, but it also can be contaminated with microorganisms, even before it’s turned into ice. While water used to make ice is expected to meet the same sanitary standards as drinking water, history tells us this is not always the case. Back in 1987, contaminated ice served at a football game in Philadelphia between the University of Pennsylvania and Cornell and a few other smaller gatherings caused 5,000 people to become sick in a four-state outbreak of Norovirus. Contaminated ice was also responsible for a 1991 cholera epidemic in Latin America that caused nearly 8,000 illnesses and 17 deaths. In addition to the hazard of making ice from contaminated water, ice and lemons can pick up bacteria from various surfaces, including ice makers, cutting boards, hands or utensils. We study food science and how to keep food, including ice and slices of fruit, safe for consumption. As part of this work we conducted experiments to determine if handling lemons and ice could transfer bacteria. 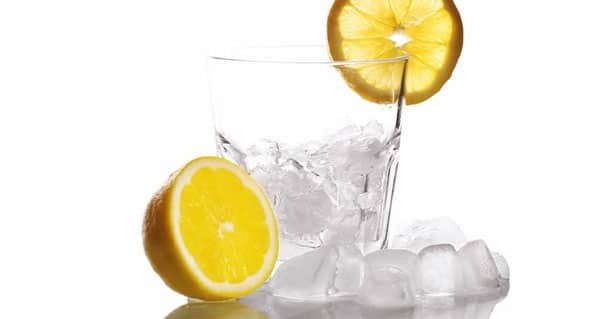 After all, ice and lemon are often added to beverages – and ice is almost universal in coolers used at tailgates, cookouts and other outdoor events. The results just might make you sick. The bad news was that when hands were contaminated with E coli , the bacteria were transferred to wet lemons and ice 100 percent of the time. If the lemons were dry, the bacteria were transferred 30 percent of the time. These findings are consistent with a previous study reporting found that 69 percent of lemons slices used in drinks from 21 restaurants sampled in the Paterson, NJ area were carrying bacteria or fungi associated with human contamination. It’s even worse for ice. More bacteria were transferred to ice from hands or scoops than was transferred to lemons – up to 67 percent from hands and 83 percent from scoops! What if I just fix my own drink? What about those lemons held at the drink station, the slices just waiting for you to stab with a fork or just grab it with your fingers and then to plunge into your tea? Restaurant self-service drink stations often have lemon slices sitting out for customers to place in their beverages. These specimens are open to several possible contamination opportunities. First, the lemons can become contaminated with bacteria when being cut into slices. That is, the person slicing them can spread bacteria. Or, they may pick up bacteria from a cutting board. A second and more likely scenario is when customers reach into the bowl to pick up a lemon slice, they spread bacteria from their hands to the lemons. Making matters worse, the lemons are sometimes open to the air and may or may not be kept cold. In our study we found that when lemons were inoculated with E. coli they increased in population over five times when held at room temperature from four to 24 hours. So a day of people reaching into the bowl for lemon slices might result in a microorganism party. Some people may wonder: Doesn’t alcohol take care of any contamination problems? Not really. In another study, pathogens frozen in ice then allowed to melt were not killed even in 80-86 proof mixtures of Scotch and soda or tequila. In most beverages, many of the pathogenic bacteria in the ice survived long enough to get into the drink once the ice melted. So alcoholic and acidic drinks are not guaranteed protection from bacteria that may get into your drink from ice or other garnishes. As with most food safety issues, common sense and good sanitary practices win the day. The chance of getting sick from your drink is slim, but it does happen. Since food service workers are the primary source for contamination from norovirus, hepatitis A and certain other bacterial pathogens, it is good to be aware of restaurant sanitation ratings as well as how your food is handled. Thus, watch who is putting what into your drink. There might be something riding on that lemon you don’t want. The Conversation, authored by Paul Dawson, Professor of Food Science, Clemson University, and Wesam Al-Jeddawi, PhD Student in Food Technology, Graduate Teaching Assistant, Graduate Research Assistant and Product Testing Laboratory Analyst, Clemson University, South Carolina.